London NW11 Private Ear Wax Removal Microsuction Clinic inside 999 Medical , Finchley Road, Golders Green, North London - just eight minutes' walk from Golders Green station. You will find us next door to the InHealth Diagnostic Centre. The surgery is about 8 minutes walk from Golders Green station. Our clinic is in one of the comfortable medical consulting rooms located on the ground floor. There is level access from the street. There is usually off-street parking available outside the practice, or next door at the InHealth Diagnostic Centre at 1001 Finchley Road. 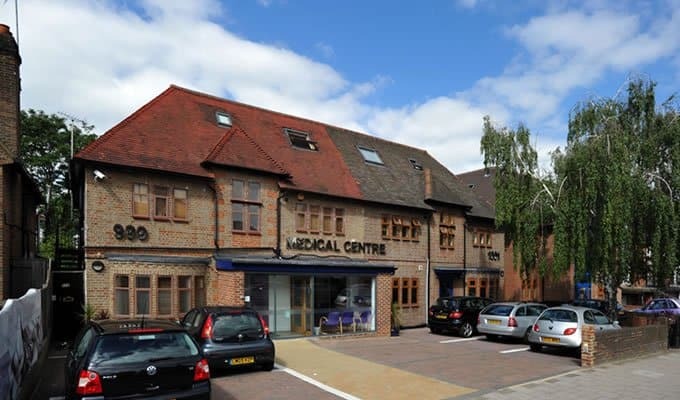 You can find our North London Microsuction Clinic in Golders Green on Google Maps here. You can get directions to our North London Microsuction Clinic in Golders Green here. In North London N2, we have our East Finchley Microsuction Ear Wax Removal Clinic in North London N2. Book your microsuction ear wax removal in London NW11 appointment today, and say goodbye to the discomfort of ear wax. Our microsuction ear wax removal clinic in Golders Green also serves clients in London, Hendon, North London, Finchley, Highgate, Hampstead Garden Suburb, Cricklewood, Mill Hill, Edgware, Hamptstead, Dollis Hill, Whetstone, Brent Cross, West Hampstead, Woodside Park, Crouch End, Finsbury Park, Arnos Grove, Palmers Green, Harrow, Tuffnell Park, Fortune Green, Gospel Oak, Wood Green, Harringay, Stanmore, Wembley, Barnet, and Bushey. Golders Green is an area in the North London Borough of Barnet in England. Although the settlement history goes back to the 18th century, Golders Green is essentially a late 19th-century suburban development. It is situated approximately 5.5 miles (8.5 km) north west of Charing Cross and centred on the intersection of Golders Green Road and Finchley Road. The name Golders comes from a family named Godyere who lived in the area, and Green alludes to the manorial waste on which the settlement was built. Golders Green has been a place in the parish and manor of Hendon since around the 13th century. The earliest references to the name of the adjacent district of "Temple Fortune" is on a map (c. 1754). However this name reveals a much earlier history. It is likely that the name refers to the Knights of St John, who had land here. Golders Hill Park, adjoining the West Heath of Hampstead Heath, is a formal park, which includes a small zoo, a walled horticultural garden, pinetum, duckponds, a water garden and a café. During the summer, children's activities are organised and there is often live music on the bandstand. Close to the park, also adjoining the West Heath is the Hill, a formal garden with an extensive and imposing pergola. Many people in London NW11 are finding that their local GP surgery no longer offers ear syringing. No doubt this is partly due to a lack of funding, but also because ear syringing is inherently less safe than ear micro suction. Possible side effects of ear syringing or irrigation are ear infection, hearing loss, tinnitus, perforation of the ear drum, and further impaction of the ear wax (i.e. the ear wax gets pushed even harder against the ear drum). Is it any wonder that people are going off walk in ear syringing in North London and are seeking out same day microsuction ear wax removal instead? Unfortunately, the sharp rise in demand has meant that NHS micro suction clinics are now unable to meet the need and waiting times are often over two to three months. You no longer need to wait months for micro suction. Why not save time by going private? It's not as expensive as you think. Simply head to our booking page and you could be saying goodbye to your wax blockage this week! * Prices shown include a £5 discount for micro suction appointments self-booked online. Appointments booked by telephone are £5 more than the prices shown. 36 hours notice required for alterations and cancellations. Thank you. You will find us in between WH Smith and the Halifax and opposite Cafe Broadway and Mill Hill Fonehouse. 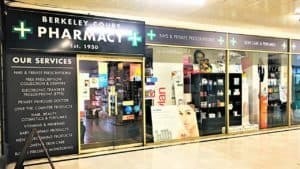 The pharmacy is about 2 minutes walk from Mill Hill Broadway station. 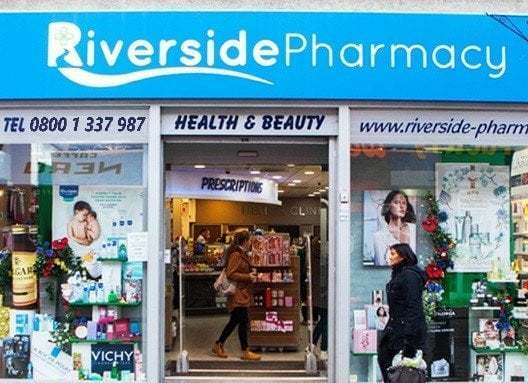 Our clinic is in one of the comfortable consulting rooms located on the ground floor at the back of the pharmacy. You can find our North London Microsuction Mill Hill NW7 Location on Google Maps here. You can get directions to our North London Microsuction Mill Hill NW7 Location here. In North West London HA5, we have our Pinner Microsuction Ear Wax Removal Clinic in North West London HA5. In North London NW11, we have our Golders Green Microsuction Ear Wax Removal Clinic In Central London NW11. There is usually pay by phone on-street parking available outside for up to one and a half hours. There is long stay parking nearby at the Mill Hill Broadway station car park. Our microsuction ear wax removal clinic in Mill Hill also serves clients in North London, Northwest London, Edgware, Stanmore, Bushey, Watford, Harrow, Wembley, Colindale, Finchley, North Finchley, East Finchley, Southgate, Finchley Central, Brent Cross, Barnet, New Barnet, Elstree, Wealdstone, Harrow Weald, Belmont, Cockfostrrs, Hadley Wood, Highgate, Golders Green and Hendon. North London NW7 is a mostly residential area in the borough of Barnet, with Edgware to the west and Finchley to the east. The Broadway referred to in the station's name is a pleasant local high street that stretches away to the east, with plenty of independent stores as well as a few big-name shops and restaurants. A little further west, a cluster of green spaces - Mill Hill Park, Arrandene Open Space and The Mill Field - provides some balance to the local shops and housing. You will find us on the High Street in between Oxfam and The Upper Crust and opposite Wenzels and Cafe Nero. 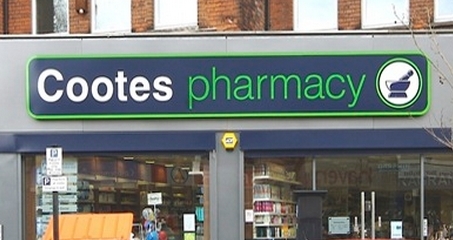 The pharmacy is about 4 minutes' walk from Rickmansworth station. Our clinic is in one of the comfortable consulting rooms located on the ground floor at the back of the pharmacy. You can find our Watford Microsuction Ear Wax Removal location on Google Maps here. You can get directions to our Watford Microsuction Ear Wax Removal clinic here. The nearest car parks are Talbot Road/High Street Car Park (3 minutes' walk), Talbot Road West Long Stay Car Park (3 minutes' walk) and Rickmansworth Station Car Park (3 minutes' walk). In Hertfordshire AL8, we have our Welwyn Garden City Microsuction Earwax Removal Clinic in Herts AL8. In West London W13, we have our Ealing Microsuction Ear Wax Removal Clinic in West London W13. In Central London NW1, we have our Baker Street Microsuction Ear Wax Removal Clinic In Central London NW1. Our microsuction ear wax removal clinic in Watford also serves clients in Rickmansworth, Carpenders Park, Cassiobury Park, Northwood, Ruislip, Pinner, Hatch End, Harrow, Elstree, Croxley Green, Eastbury, Batchworth, Three Rivers, Bushey, Edgware, Wembley, Moor Park, Maple Cross, West Hyde, Denham, Mill End, Gerards Cross, Heronsgate, Calfont St Peter, Chalfont St Giles, Little Chalfont, Harefield, Jordans, Seer Green, Amersham, Chipperfield, Kings Langley, Abbots Langley, Chorleywood, Leavesden, Radlett, Denham Green, Chandlers Cross, Bucks Hill, Sarratt, Chenies, Belsize, Hunton Bridge, Aldenhan, Bedmond, Letchmore Heath, Leverstock Green, Potten End, Chiswell Green, Bricket Wood, Hemel Hempstead, Bovingdon, Berkhamstead, Tring, Park Street, London Colney, St Albans, Bushey Heath, Stanmore, South Mimms, Shenley, Borehamwood, Potters Bar. Watford is a town and borough in Hertfordshire and is the largest populated area in the county with around 132,000 residents. The town developed on the River Colne and grew rapidly during the Industrial Revolution. Watford became a municipal borough in 1922. It is the home of Premier League side Watford FC and world heavyweight boxing champion Anthony Joshua. Simon Le Bon, lead singer of Duran Duran, was born in Watford. Mary Portas used to live in Bushey. Melanie C aka Sporty Spice lived in Watford for some time. The grand staircase of Cassiobury House was removed to the Metropolitan Museum of Art in New York, when the house demolished in 1927. The town hall’s interior staircase that sweeps up to the main council chamber is listed in its own right, as a prime example of Art Deco construction. Grade II protected Jackson’s Jewellers in The Parade is said to have its own ghost – a man in Elizabethan dress who passes through walls. The One Bell pub, adjacent to St Mary’s Church, holds the oldest existing licence dating back to 1750. Kings Langley was the home of the makers of Ovaltine and the listed factory facade is now all that is left and still stands alongside the railway line among a new housing development. The Ovaltine factory itself has recently been converted into a series of flats and duplexes. The Who performed regularly in Watford and Carpenders Park in 1964, specifically The Trade Union Hall and The Mine. Kings Langley was once the location of Kings Langley Palace, a royal palace of the Plantagenet kings of England. Now Rudolf Steiner School is set on the site of the palace. The 12th century parish church of All Saints' houses the tomb of Edmund of Langley (1341–1402), the first Duke of York. Elton John performed his first gig at The Namaste Lounge Pub, Northwood Hills. Watford has made huge contributions to the printing industry. Rotary photogravure was a technique which was first used in Watford to reproduce very fine, high quality fine art prints and then it went on to be used to produce colour magazines. All the ladies’ colour magazines, like Woman’s Weekly and Woman’s Own, were all printed in Watford, as well as most of the colour supplements for the Sunday newspapers. Watford is a town and borough in Hertfordshire, England, situated 15 miles (24 km) northwest of central London and inside the circumference of the M25 motorway. It is not to be confused with Watford, Northamptonshire which is 55 miles to the north. The town developed on the River Colne on land belonging to St Albans Abbey until the 16th century. During the 12th century a charter was granted allowing a market, and the building of St Mary's Church began. The town grew partly due to travellers going to Berkhamsted Castle and the royal palace at Kings Langley. A mansion was built at Cassiobury in the 16th century. This was partly rebuilt in the 17th century and another country house was built at The Grove. Connections with the Grand Junction Canal (1798) and the London and Birmingham Railway (1837) allowed the town to grow more rapidly with paper-making mills, such as John Dickinson and Co. at nearby Croxley, influencing the development of printing in the town. Two brewers, Benskins and Sedgwicks, amalgamated and flourished in the town until their closure in the late 20th century. Hertfordshire County Council designates Watford to be a major sub-regional centre. Several head offices are based in Watford. Both the 2006 World Golf Championship and the 2013 Bilderberg Conference took place at The Grove. Watford became an urban district under the Local Government Act 1894 and a municipal borough by grant of a charter in 1922. The borough, which had 90,301 inhabitants at the time of the 2011 census, is separated from Greater London to the south by the parish of Watford Rural in the Three Rivers District. Watford Borough Council is the local authority with the Mayor of Watford as its head; one of only 18 directly elected mayors in England and Wales. Dorothy Thornhill has been the mayor since the directly elected system was set up in May 2002 and is both the first Liberal Democrat and the first female directly elected mayor in the United Kingdom. Watford elects one Member of Parliament (MP) for the Watford constituency. Prior to the establishment of this constituency in 1885, the area was part of the three-seat constituency of Hertfordshire. Watford is 15 miles (24 km) northwest of central London and inside the circumference of the M25 motorway. Located on rising ground to the north of the River Colne, originally the settlement was of the street type. The commercial centre of Watford has moved over the centuries to dryer ground and closer to the principal mainline railway station, Watford Junction. Nineteenth century railways made it part of the London commuter belt. Post World War II road-building has placed it close to motorway junctions on the M1 and M25. Watford is a major regional centre in the northern home counties. Hertfordshire County Council designates Watford and Stevenage to be its major sub-regional centres, heading its list of preferred sites for retail development. The High Street is the main focus of activity at night having a high concentration of the town's bars, clubs and restaurants. The primary shopping area is the Harlequin Shopping Centre, a large purpose-built indoor mall with over 140 shops, restaurants and cafes built during the 1990s, opened officially in June 1992. The owners of the shopping centre, Capital Shopping Centres, rebranded all their shopping centres, resulting in The Harlequin changing name to intu Watford Shopping Centre from May 2013. The name Cassiobury has had various spellings over time. It is derived from 'Caegshoe', which is believed to be the combination of 'caeg', a person's name, and 'hoe', meaning a spur of land. When the land was granted to Sir Richard Morrison in the 16th century, it was called 'Cayshobury', with 'bury' indicating a manor. Cassiobury Park was formed from the grounds of Cassiobury House and consists of 190 acres (0.77 km2) of open space. The house was demolished in 1927 and the Cassiobury Gates in 1970, for road widening. In July 2007, the park won a Green Flag Award, which recognises the best green spaces in the country. There is a children's play area, which includes a paddling pool, play equipment, a bouncy castle, an ice cream van, a kiosk where one may buy food, and 10.25" gauge miniature railway. The Grand Union Canal passes through the park. Awarded Green Flag status since 2009, Cheslyn has been open to the public since 1965 as a formal gardens and house. The 3.5 acre gardens comprise a formal open area to the front and a semi-natural woodland area to the rear. Henry and Daisy Colbeck originally owned the house and gardens. Mr Colbeck was a renowned local architect, and designed Cheslyn House; he and his wife created the original gardens. The Colbecks travelled extensively, and this is reflected in the range of unusual and exotic plants in the gardens. Since the space has been open to the public it has been further developed, with new features added such as the pond, rock garden, large herbaceous borders and aviary. Awarded Green Flag status since 2011, Woodside Playing Fields cover approximately 59 acres of playing fields, sports facilities and woodland. The site comprises a range of sports facilities including an eight lane synthetic track and stadium, an indoor bowls green, a community centre, cricket squares, football pitches and Woodside Leisure Centre. Woodside Stadium is home to Watford Harriers Athletics Club and hosts national level events such as the British Milers Club Grand Prix. The wider parkland includes two children's play areas and Albans Wood is a local nature reserve. Many people in North West London are finding that their local GP surgery no longer offers ear syringing. No doubt this is partly due to a lack of funding, but also because ear syringing is inherently less safe than ear micro suction. Possible side effects of ear syringing or irrigation are ear infection, hearing loss, tinnitus, perforation of the ear drum, and further impaction of the ear wax (i.e. the ear wax gets pushed even harder against the ear drum). Is it any wonder that people are going off walk in ear syringing in London and are seeking out microsuction ear wax removal instead? Unfortunately, the sharp rise in demand has meant that NHS micro suction clinics are now unable to meet the need and waiting times are often over two to three months. 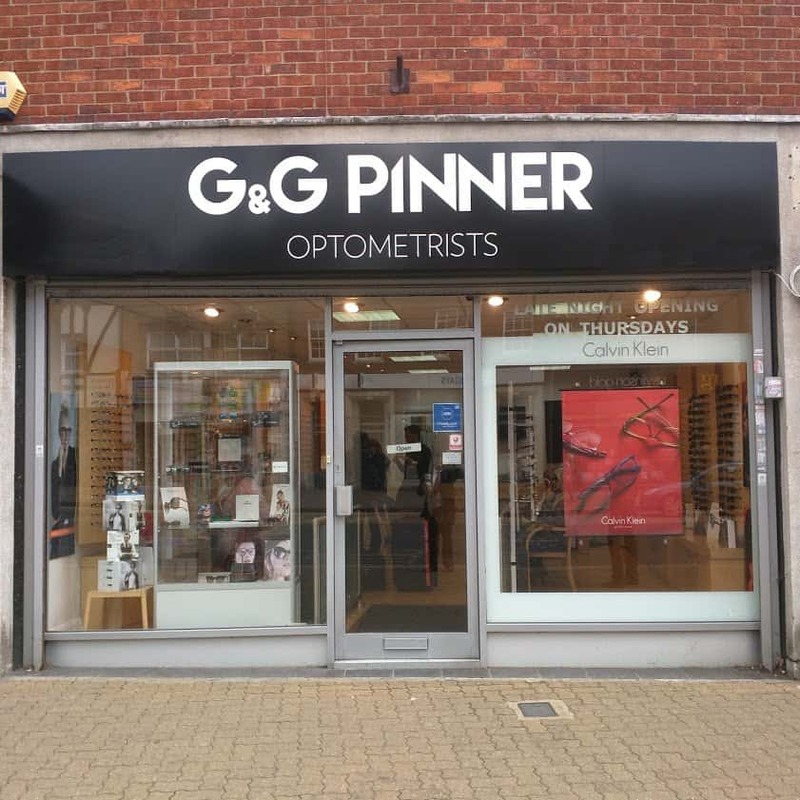 You can find our Ear Wax Removal In Edgware on Google Maps here. You can get directions to our Ear Wax Removal Edgware Location here. In North London EN5, we have our Microsuction Ear Wax Removal Barnet Clinic. Our microsuction ear wax removal clinic in Edgware also serves clients in London, North London, Northwest London, Mill Hill, Stanmore, Bushey, Watford, Harrow, Wembley, Colindale, Burnt Oak, Queensbury, Kingsbury, Finchley, North Finchley, East Finchley, Southgate, Finchley Central, Brent Cross, Barnet, New Barnet, Elstree, Wealdstone, Harrow Weald, Belmont, Cockfosters, Hadley Wood, Highgate, Golders Green and Hendon. Edgware is a district of northern Greater London, in the London Borough of Barnet. 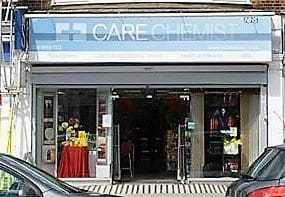 Edgware is centred 9.5 miles (15.3 km) north-northwest of Charing Cross and has its own commercial centre. Edgware has a generally suburban character, typical of the rural-urban fringe. It was an ancient parish in the county of Middlesex. The community benefits from some elevated woodland on a high ridge marking the Hertfordshire border of gravel and sand. Edgware is identified in the London Plan as one of the capital's 35 major centres. Edgware is principally a shopping and residential area and one of the northern termini of the Northern line. It has a bus garage, a shopping centre called the Broadwalk, a library, a hospital—Edgware Community Hospital, and two streams—Edgware Brook and Deans Brook, both tributaries of a small brook known as Silk Stream, which in turn merges with the River Brent at Brent Reservoir. Edgware is a Saxon name meaning Ecgi's weir. Ecgi was a Saxon and the weir relates to a pond where Ecgi's people caught fish. Edgware parish formed part of Hendon Rural District from 1894. It was abolished in 1931 and formed part of the Municipal Borough of Hendon until 1965.The Romans made pottery at Brockley Hill, thought by some to be the site of Sulloniacis. Canons Park, to the north-west, was developed as an estate by James Brydges, 1st Duke of Chandos and was the site of his great palace Cannons. The construction of the M1 motorway across this area made less visual impact than might have been expected owing to the deep cutting in which most of it lies. Some building estates have been planted north of Edgware Way in the post-war period, but they have been largely confined to the area between Edgwarebury Lane and the main railway line. The borough council's Spur Road estate was built only after bitter local opposition; it is dominated by five tall blocks of flats, the first of which, of eleven stories, was opened in 1957. The Edgware General Hospital is outside the old parish at Burnt Oak, Hendon. The Anglican Convent of St. Mary at the Cross (Sisters of the Poor), until 1931 known as the Convent of St. Mary of Nazareth, was founded in 1865 in Shoreditch by the Revd. H. D. Nihill. In 1873 land was bought at Edgware to the north of Hale Lane, and by degrees the work of the convent and its hospital at Shoreditch were given up. In 1937 a new hospital block, providing 50 extra beds, was opened at Edgware. It is now a home for sick and incurable children, who are taken in up to the age of 18 and then kept for life if they have no other home. Known to most Londoners simply as the name of a road and one of three final destinations for north-bound Northern Line trains, Edgware marks the northern edge of the suburban sprawl of Greater London. Historically, it was a small town located along the Roman road between London and St Albans, a notable curiosity being that the place comprised of not one parish but two, the boundary being the road itself. Even today, with the area having been developed out of all recognition with the coming of suburbia between the two world wars, this sense of division can still be observed, for Edgware on the eastern side of the old Roman road is part of the London Borough of Barnet, while on the western side one finds oneself in the London Borough of Harrow. What you call that old road, nowadays part of the A5, depends very much on whereabouts in London you are - in Edgware, it's simply the High Street, and does not actually become the Edgware Road until close to Marble Arch. One brief historical note: Fans of the eighteenth-century composer Handel may be interested to note that he lived in Edgware for a short time; he performed on the organ in St Lawrence's Chuch on Whitchurch Lane, and nearby Canons Park once housed a mansion built by one of his patrons, the first Duke of Chandos. Praised by Defoe and satirised by Pope, that building was demolished long ago, with the pillars at the entrance to the exclusive Canons Drive still standing as reminders of a bygone age. To the north of Edgware you will find Elstree and Borehamwood, while to the west you will find Stanmore. South of Edgware is Queensbury, while southwest of Edgware is Harrow and Wembley. To the Northeast is Barnet, and to the East is Finchley. Within the boundaries of Edgware are Burnt Oak and Colindale, while on its eastern side, Hale Lane joins Edgware with Mill Hill. Mill Hill is a mostly residential area in the borough of Barnet, with Edgware to the west and Finchley to the east. The Broadway referred to in the station's name is a pleasant local high street that stretches away to the east, with plenty of independent stores as well as a few big-name shops and restaurants. A little further west, a cluster of green spaces - Mill Hill Park, Arrandene Open Space and The Mill Field - provides some balance to the local shops and housing. Private Ear Wax Removal Microsuction Clinic inside 999 Medical , Finchley Road, Golders Green, North London NW11 - just eight minutes' walk from Golders Green station. Many people in North London are finding that their local GP surgery no longer offers ear syringing. No doubt this is partly due to a lack of funding, but also because ear syringing is inherently less safe than ear micro suction. Possible side effects of ear syringing or irrigation are ear infection, hearing loss, tinnitus, perforation of the ear drum, and further impaction of the ear wax (i.e. the ear wax gets pushed even harder against the ear drum). Is it any wonder that people are going off walk in ear syringing in North London and are seeking out same day microsuction ear wax removal instead? Unfortunately, the sharp rise in demand has meant that NHS micro suction clinics are now unable to meet the need and waiting times are often over two to three months. You can find our Rickmansworth Microsuction Ear Wax Removal location on Google Maps here. You can get directions to our Rickmansworth Microsuction Ear Wax Removal clinic here. Our microsuction ear wax removal clinic in Rickmansworth also serves clients in Watford, Carpenders Park, Cassiobury Park, Northwood, Ruislip, Pinner, Hatch End, Harrow, Elstree, Croxley Green, Eastbury, Batchworth, Three Rivers, Bushey, Edgware, Wembley, Moor Park, Maple Cross, West Hyde, Denham, Mill End, Gerards Cross, Heronsgate, Calfont St Peter, Chalfont St Giles, Little Chalfont, Harefield, Jordans, Seer Green, Amersham, Chipperfield, Kings Langley, Abbots Langley, Chorleywood, Leavesden, Radlett, Denham Green, Chandlers Cross, Bucks Hill, Sarratt, Chenies, Belsize, Hunton Bridge, Aldenhan, Bedmond, Letchmore Heath, Leverstock Green, Potten End, Chiswell Green, Bricket Wood, Hemel Hempstead, Bovingdon, Berkhamstead, Tring, Park Street, London Colney, St Albans, Bushey Heath, Stanmore, South Mimms, Shenley, Borehamwood, Potters Bar. (From Wikipedia) "Rickmansworth is a small town in south-west Hertfordshire, England, situated approximately 20 miles (32 km) northwest of central London and inside the perimeter of the M25 motorway. The town is mainly to the north of the Grand Union Canal (formerly the Grand Junction Canal) and the River Colne. The nearest large town is Watford, approximately 5 miles (8.0 km) to the east. Rickmansworth is the administrative seat of the Three Rivers District Council; the local authority is named from the confluence of three rivers within Rickmansworth's borders; the River Gade and the Grand Union Canal join the upper River Colne near Rickmansworth's eastern boundary and are joined by the River Chess near the town centre from where the enlarged Colne flows south to form a major tributary of the River Thames. The town is served by the Metropolitan line of the London Underground and Chiltern Railways from London Marylebone to Aylesbury. Cardinal Wolsey, in his capacity as Abbot of St Albans, held the Manor of le More in the valley. The manor house was replaced by the hill-top mansion Moor Park, which eventually became the residence of Admiral Lord Anson, who commissioned Capability Brown to remake the formal gardens, and in 1828 of the Barons Ebury; it is now the Golf Club House. The wider area, including Croxley Green, Moor Park, Batchworth, Mill End, West Hyde and Chorleywood, formed the original parish of Rickmansworth. Watersmeet is a 515-seat theatre complex owned by the Three Rivers District Council in the town centre. Its auditorium can be transformed from a raked theatre to a flat floor for performances in the round, dancing, cabaret, weddings, indoor markets and craft fairs. The Rickmansworth Players (affiliated to NODA) is a well-established amateur dramatics society that performs musicals and plays on a regular basis. Rickmansworth Historical Society meets monthly from September to June in the Cloisters Hall. Rickmansworth is sometimes shortened to "Ricky", as used in the annual Ricky Week celebrations which occur in May. The town's canal history is remembered at the end of the week with the Rickmansworth Festival organised by Rickmansworth Waterways Trust. The Aquadrome covers 41 hectares (100 acres) and includes the Aquadrome Local Nature Reserve, Batchworth and Bury Lakes, open grassland, areas of woodland, car parking, a café and a children's play area. Its boundaries are the River Colne to the north, the Grand Union Canal to the east and south and Stocker's Lake nature reserve to the west. In July 2009, it received a Green Flag Award for parks and open spaces which meet high standards." 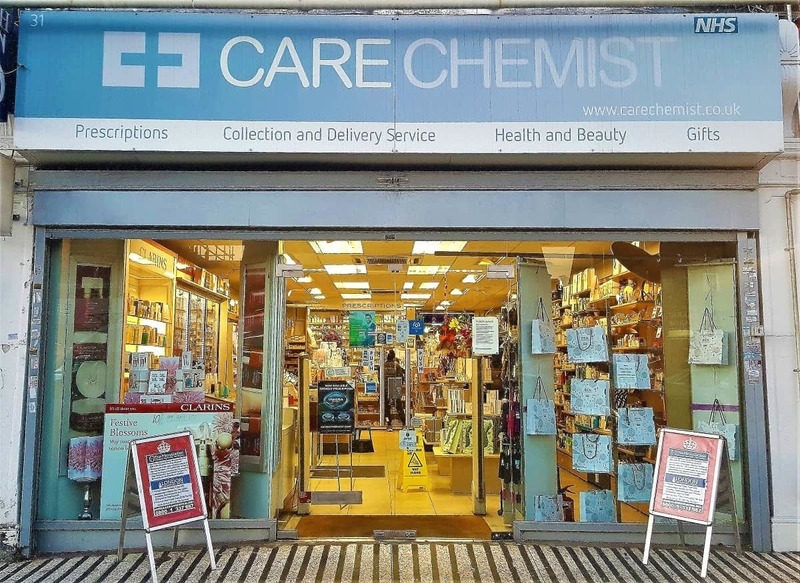 Private Ear Wax Removal Microsuction Clinic inside Care Chemist, Mill Hill Broadway, North London NW7 - just two minutes' walk from Mill Hill Broadway station. You can find our Microsuction Mill Hill North London Location on Google Maps here. You can get directions to our Microsuction Mill Hill North London Location here. Our microsuction ear wax removal clinic in Mill Hill also serves clients in London, North London, Northwest London, Edgware, Stanmore, Bushey, Watford, Harrow, Wembley, Colindale, Finchley, North Finchley, East Finchley, Southgate, Finchley Central, Brent Cross, Barnet, New Barnet, Elstree, Wealdstone, Harrow Weald, Belmont, Cockfostrrs, Hadley Wood, Highgate, Golders Green and Hendon.